Some of the best Cabernet Franc of the region comes from the flat, featureless landscape around the Village of Virgil. The mysterious interactions of soil and climate combine to produce consistently wonderful Cabernet Franc. 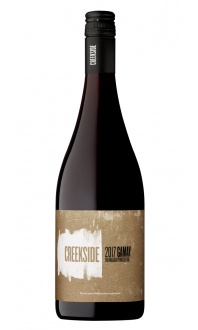 We learned years ago to take what that vineyard gives us and vinify the fruit in the right-bank Bordelaise, barrel-aged style.The scent of a cherry wafts by, but you get distracted by blood orange, citrus zest, and a bay/laurel floral element. Simultaneously delicate and plush on the palate, with raspberry joining into the flavor fray. Delicacy in a glass. Appearance: Clear, opaque, medium-plus intense core with thin ruby rim. 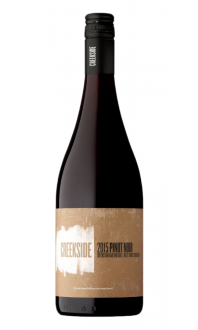 Nose: Medium-plus intense characters of ripe blackberries, cinnamon, licorice, smoke, and charred meat. Palate: The wine is dry with medium-plus body, medium acidity, medium fine-grained tannin. There are medium-plus intense fruit characters of blackberries, cranberries, bramble, black licorice, and dark chocolate. Quality: This is a good quality, structured wine that falls on the darker, meatier end of the Cabernet Franc spectrum. There's a breadth of characters ranging from dark fruit to the earthy and smoky notes. Drink now with food or age 1-2 years to allow tannins to soften. Food Pairings: Lamb burgers, bison and cranberry salami, beef pot roast, roasted pork loin with dried fruit, eggplant lasagna, red pepper and walnut dip, elk sausages. The Cabernet Franc grapes were grown in the Serluca Family Vineyard, located in the Four Mile Creek sub-appellation. After fermentation, the wine was aged for 16 months in primarily American oak barrels, 27% of which were new. Stylistically, this is a fuller, more structured version of Cabernet Franc that has a lot more in common with Right Bank Bordeaux, than an example from the Loire Valley. The fruit is dark and meaty with plenty of concentration and there are layers of spice and smoke gained by aging in American oak barrels. This wine still has plenty of structure, and I would suggest drinking it alongside red meat, or keeping it in your cellar for a year or two to give it some time to soften.